This paragraph does not exist yet. You will wait for 7 working days for the production of your order. [Peace Classic Card Pack] The shape is exquisite, the design allows you to hang on the bag to be easy to take and can be decorated. The size of the card package can be about 4 to 5 cards, which can be placed directly on the card. It is recommended that you place the EasyCard in the last card of the card, and the card is directly sensed on the back of the card. You can also put a business card in the card package (about 10 sheets or so), which is very convenient when you go out to negotiate. [Use] Portable card, business card package, key package, seal package, etc. [Size] Card package part (without question mark hook) is height 10cm, width 6cm [Materials] Japanese cotton linen, electric embroidery fabric, pure leather Logo, bronze metal parts (magnetic buckle, question mark tick) [Designer's words] This style is small but exquisite and difficult to produce, especially difficult to take pictures. Therefore, if you have a favorite color, please do not hesitate. 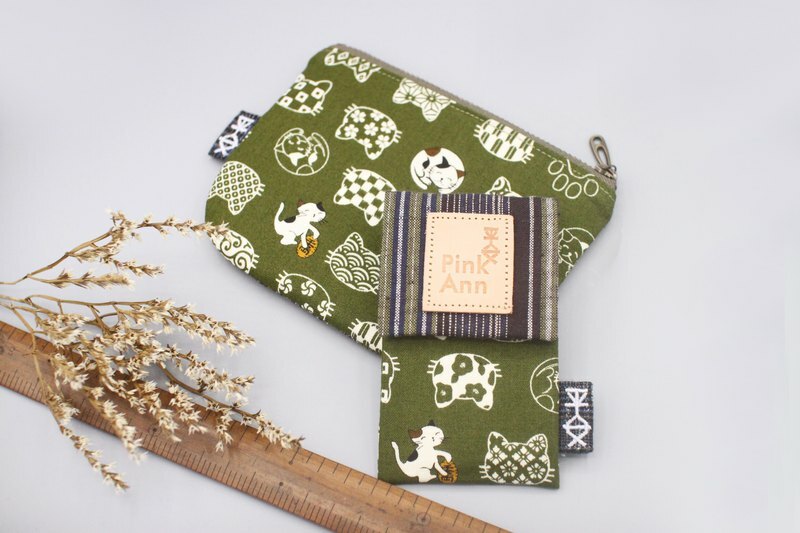 [You need to know if you buy a Ping Pak] The designer loves Japanese cotton and linen, and it is a cloth with a feel (surface with bumps) If you also like high-quality, high-touch hand work, it is highly recommended that you personally sew the bag.